$26 for a $51 value! Box Description: Holiday travel season is in full swing! Wondering how you're going to travel with your skincare routine without violating TSA liquid limits or your own limited patience for decanting and labeling? Fiddy Snails has your back with this hand-curated K-beauty travel set full of TSA-friendly favorites. Travel light and look great from departure to return! Description: Ever flown with a liquid makeup remover or cleansing oil before? Leaks and spills from oil-based products are no joke. The inside of your carryon will be safe from messes with this oil cleanser in solid form. Once you've reached your destination, the nourishing oils and fermented ingredients in the Botanic Farm Grain Ferment Cleansing Sherbet will dissolve all your makeup and sunscreen in a flash while moisturizing travel-dry skin. Directions: Massage a small amount onto dry face. Wet hands and massage again to emulsify. Rinse and follow with a mild foaming cleanser. Fiddy Tip: Spread cleansing sherbet onto face and wait 5-15 minutes before massaging for a deeper cleanse. 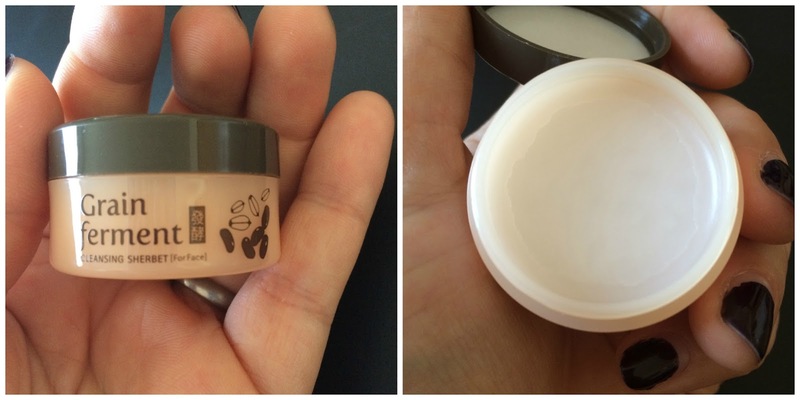 Performance: This balm cleanser came in a cute little tub with a smooth and creamy texture. It had no scent (that I detected) and spread onto my skin easily. I loved how easily it melted down into an oil consistency when it was being massaged into my skin. Using Fiddy's Tip, I did find that this cleanser worked very well cleaning out my pores. This did a great job removing makeup and sunscreen - even waterproof eye makeup! Description: Cleansers are some of the most annoying products to travel with. Pump bottles often leak in transit, but if you decant, you end up with a massive pumpless inconvenience. This pH 5.5 powder cleanser gets skin sparkling clean and buttery smooth. And since it's a dry product, it leaves more room for the rest of your skincare goodies! Who knows? You might never go back to your liquid cleanser again! Directions: Shake a small amount onto palm. Add water and lather. Massage over face. Rinse. Fiddy Tip: Tosowoong Enzyme Powder Wash doubles as a gentle exfoliating scrub. Use slightly more product and slightly less water than usual. The undissolved grains will remove dead skin cells as you cleanse. Performance: This has quickly become my holy grail cleanser - my face cannot live without out! Ok, maybe that's an exaggeration, but are you really going to question a woman when she's only had four hours of sleep? Yeah... 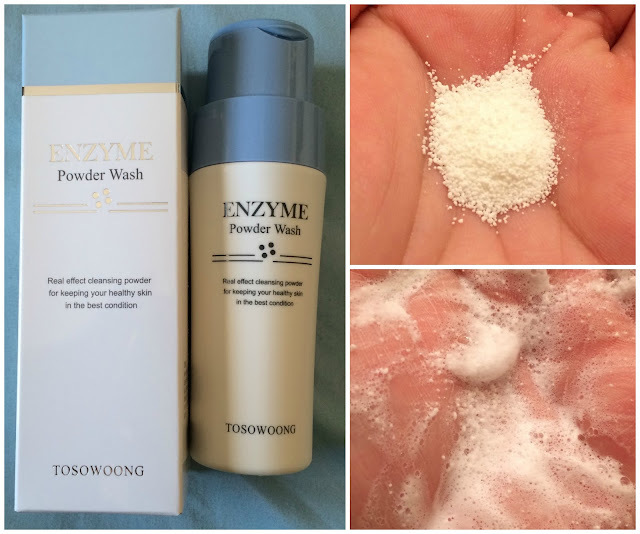 This cleanser has a nice low pH of ~5.5, comes in a powder form, dispenses one "use" at a time, and foams up very easily both between your hands or with a foaming net or cleansing brush. I personally love this cleanser paired up with the I'm Meme Pore Brush - they are a match made in heaven! Love how smooth and bright my skin is after I use this cleanser, and it works well for me both day and night. Because it is an exfoliating cleanser (due to the papaya extract) I generally just use it once a day - at night - but it does work well at either point in your routine. Description: Cold weather and winter travel can take a serious toll on skin. Plump a parched face back up with one of these intensely hydrating, brightening sheet masks. Sheet masking on airplanes is totally a Thing now! 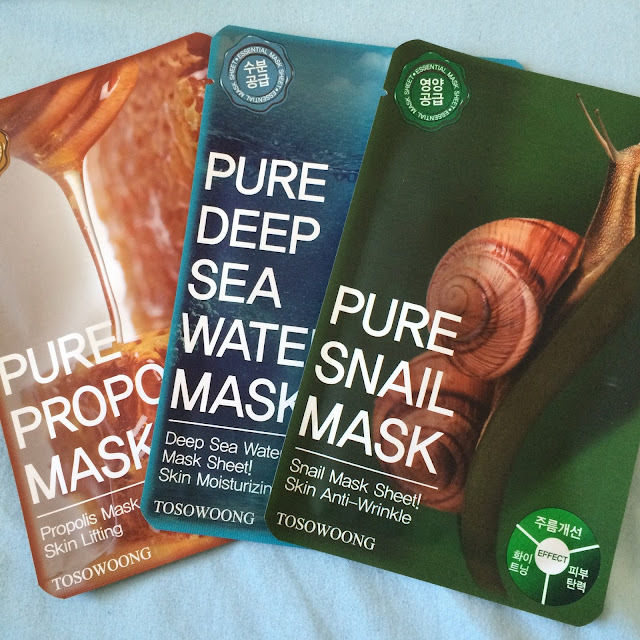 Even if you're not quite brave enough to join the sheet mask jet set, keep a couple of these handy for the end of a stressful evening or to prep for a special event. Directions: After cleansing and toning, fit over face. Relax for 20-45 minutes. Fiddy Tip: After removing your sheet mask, while face is still damp, seal in the hydration with a couple of drops of facial oil or a thin layer of moisturizer for maximum softness and lasting effects. Description: The skin around eyes is especially prone to drying out and showing stress. These tightening, brightening eye patches will revive tired under eyes so you can look well rested even if you've been up all night on a redeye flight. 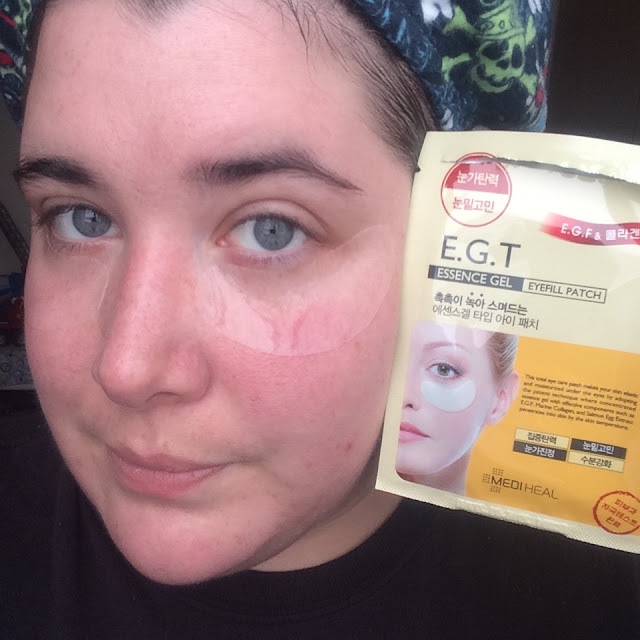 Directions: After cleansing and toning, apply patches to undereye area. Relax for 10-15 minutes. Fiddy Tip: Refrigerate before use to maximize de-puffing power. Fiddy Tip 2: Slap a pair of thes e on in the morning and then hit the snooze button! Performance: Ahh yes, the eye patch that got me hooked on eye patches! Seriously, I never saw the point, until I tried these gels. They are comfortable, cooling, and depuff my undereye area perfectly. Love them! Description: This is the only item in the Snails on a Plane Box that counts towards your TSA liquid limits, and believe us, it's 30ml of baggie space well spent. Packed full of ginseng and other traditional medicinal herbs, this smooth, silky cream moisturizes and primes skin perfectly for makeup in the morning and acts as an intensive treatment mask overnight, letting you wake up with firm and radiant skin no matter how little sleep you get during your holiday travels. Directions: After cleansing and toning, apply a small amount during the day and a larger amount at night. Fiddy Tip: For maximum overnight effectiveness, apply in two thin layers rather than one thick layer before bed. Performance: I actually have not tried this yet - it's the only thing from the box that I haven't tried - but I'll update once I get to point where I'm ready to test it! 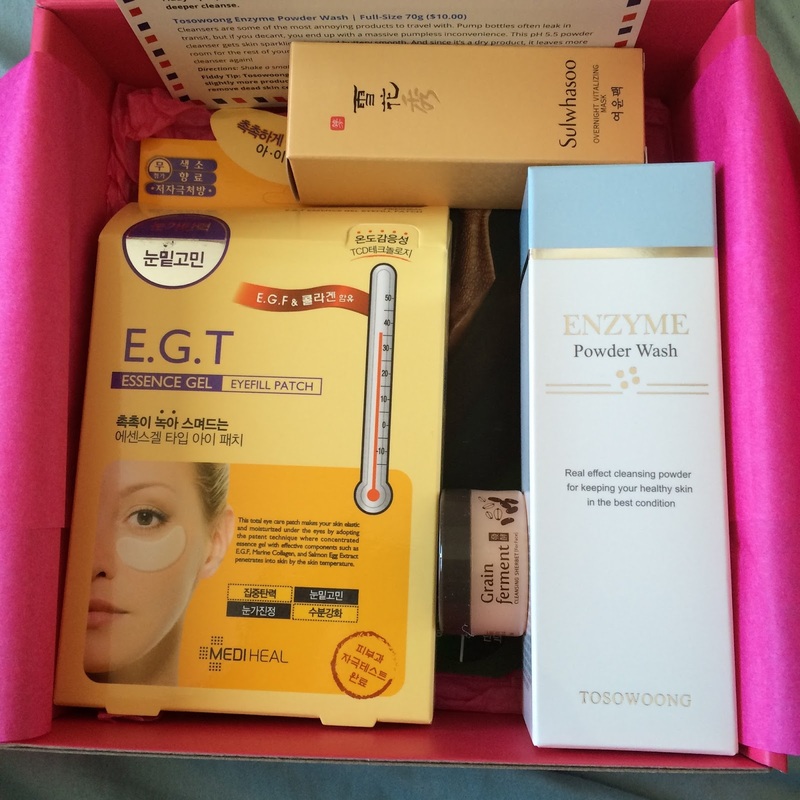 Overall: I really think this was a well-rounded box, and the price point was great! Fiddy did a great job collaborating with Memebox and I hope to see this (or something similar) brought back later on!